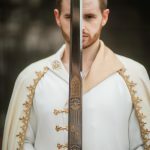 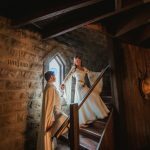 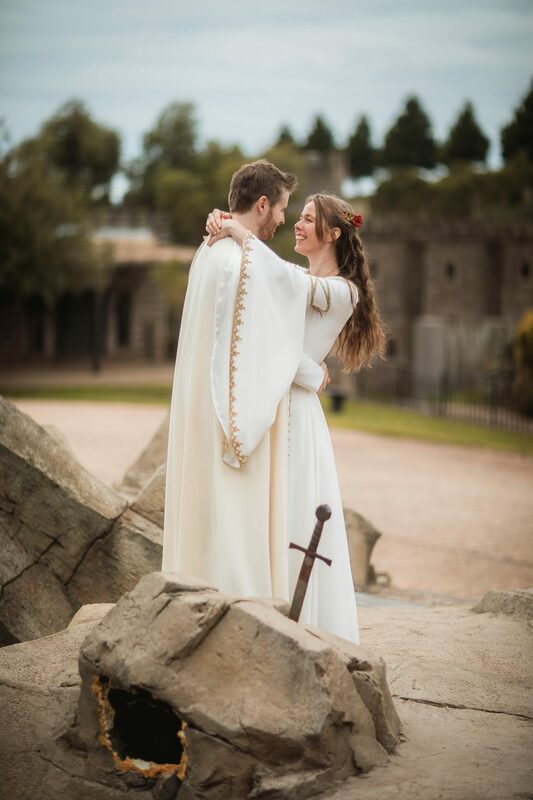 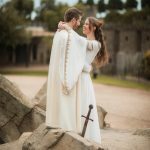 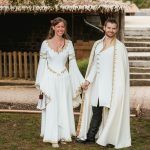 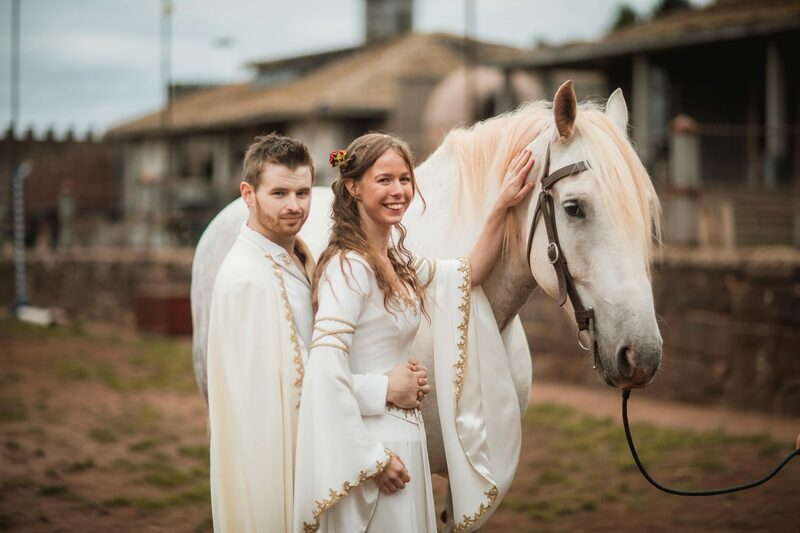 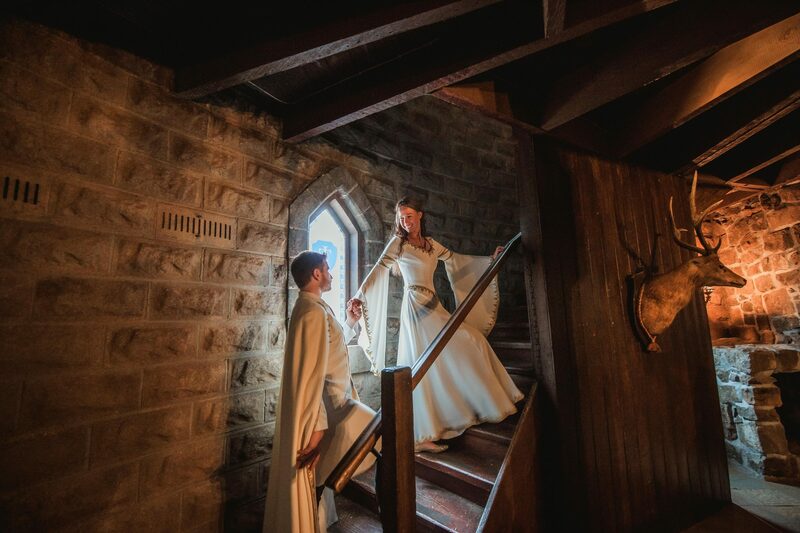 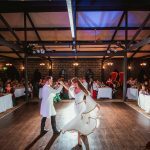 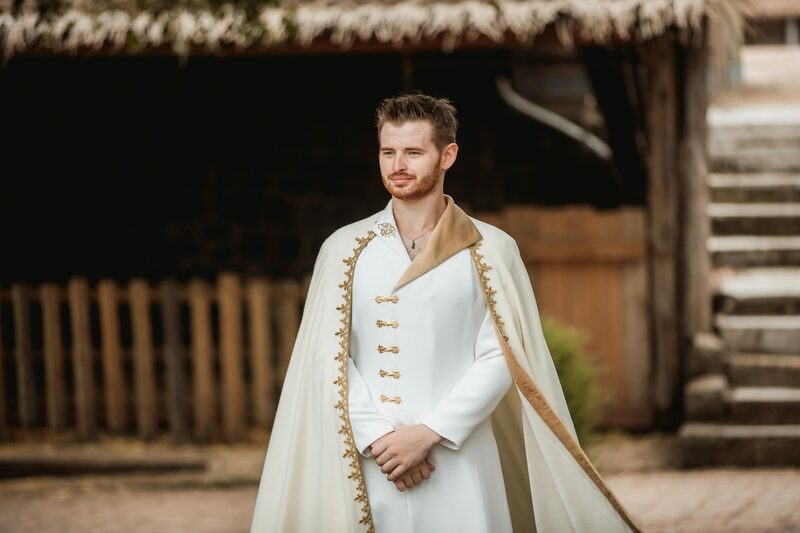 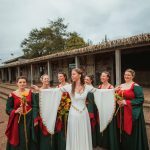 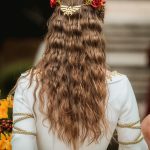 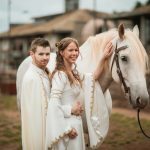 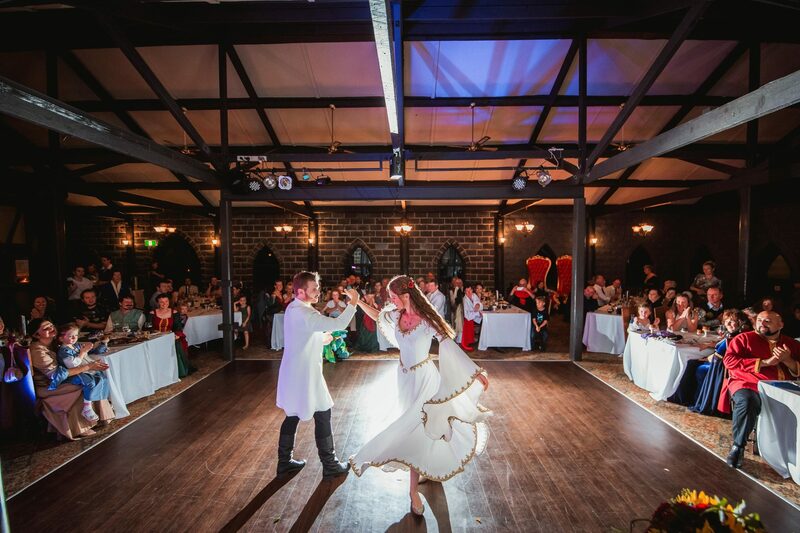 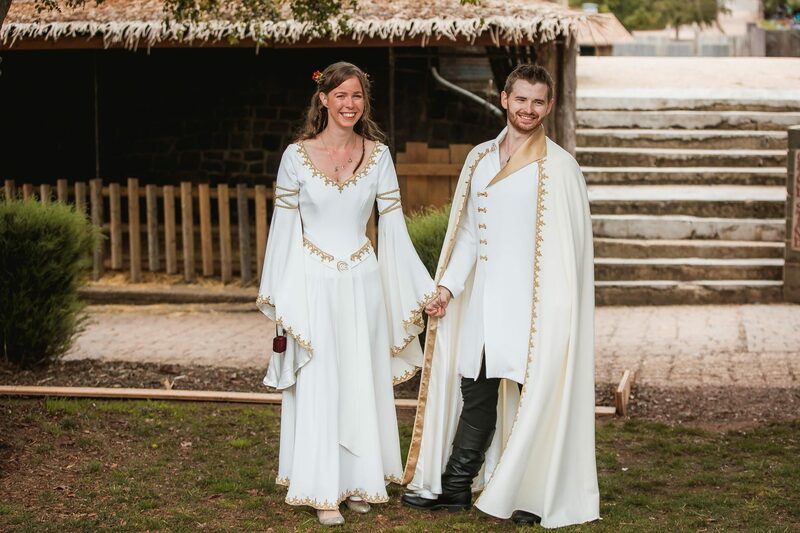 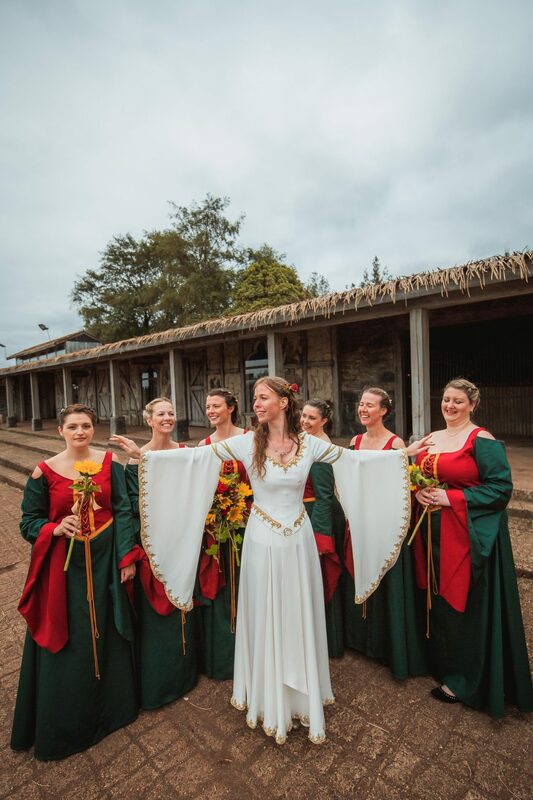 For Bec and Andrew we created matching medieval fantasy inspired wedding garb. 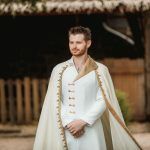 Rich silk crepe de chine for the wedding gown and the groom’s coat and sumptuous wool for the cloak, with silk linings and gold trimmings and fittings. 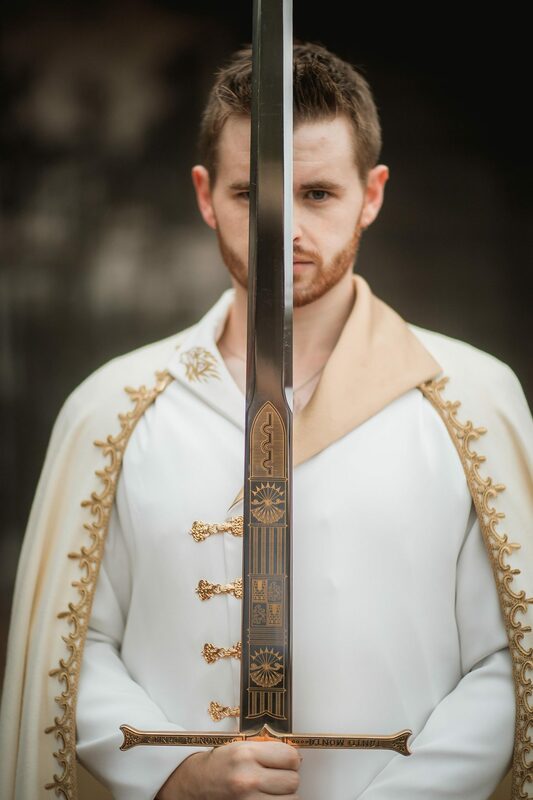 The outfits are also emblazoned with intricately hand painted personal crests; a wolf on Andrew’s lapel, and a horse on Bec’s belt. 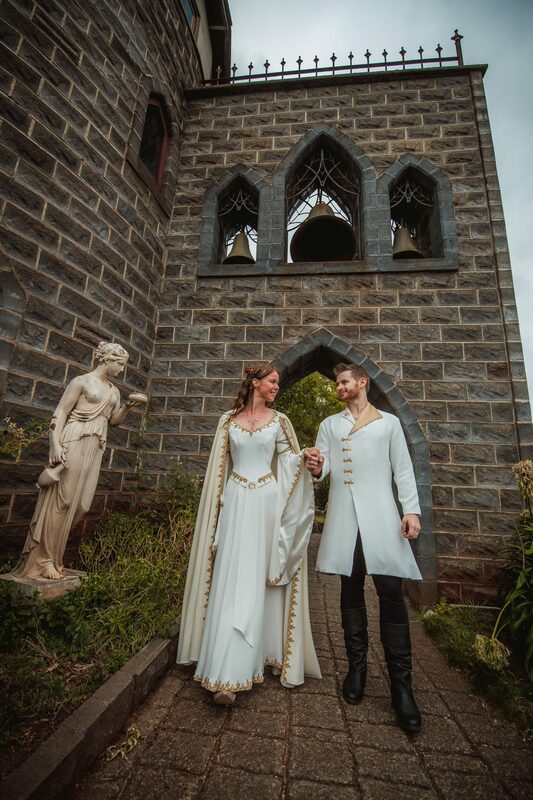 We also created an elegant white brocade bridal corset that Bec is wearing beneath her gown. 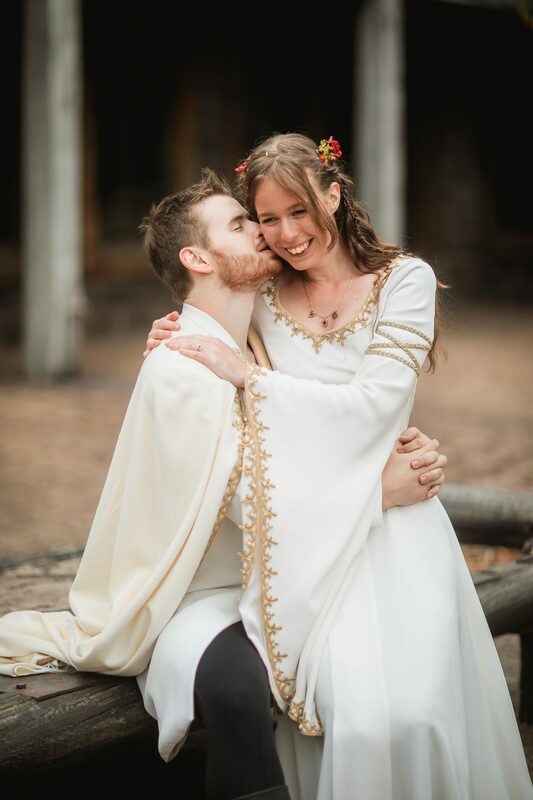 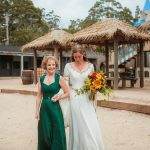 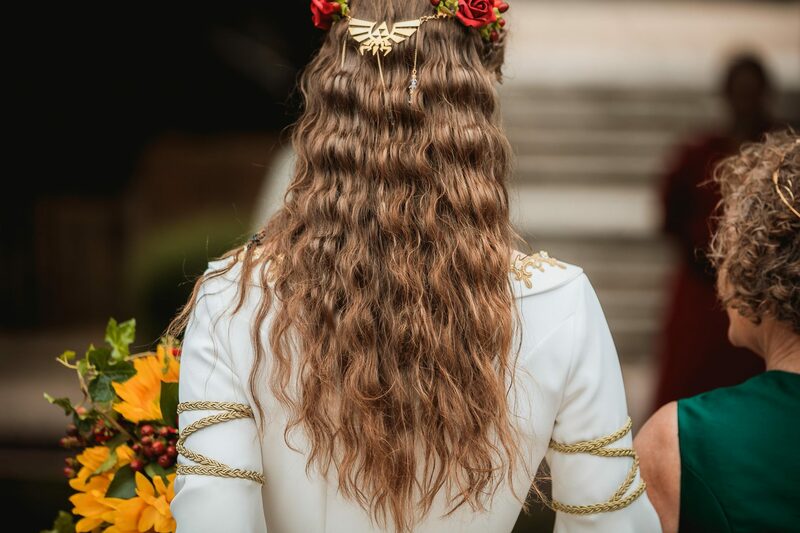 As a subtle tribute to the wedding couple’s love for the Legend of Zelda games, Andrew has Hylian shield cloak pins, and Bec has the Skyward Sword crest, custom made in brass by Skadi Jewellery, worked into her headdress. 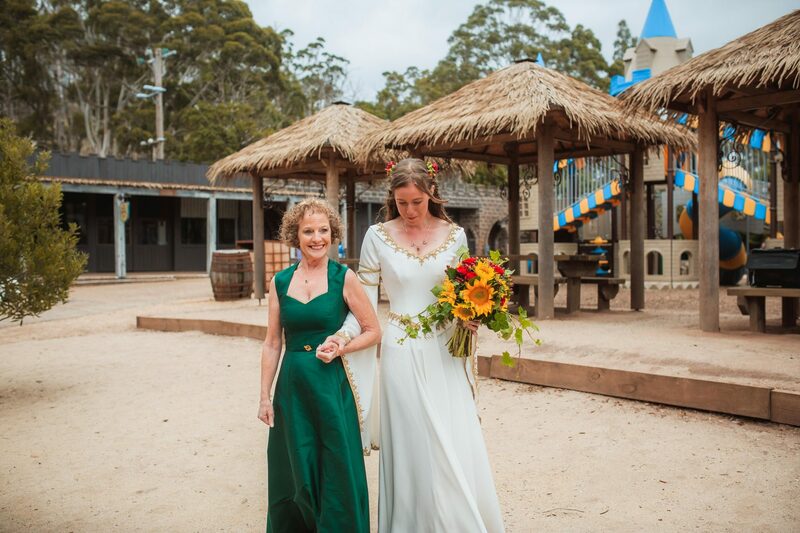 The mother of the bride is also wearing a Lyris gown, in emerald green silk with gold trimming and a gold celtic brooch.